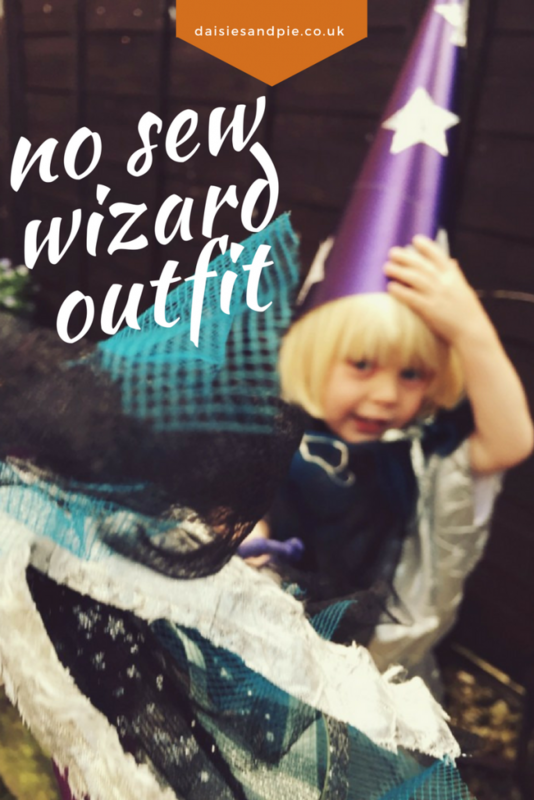 The cutest and easiest no-sew wizard outfit perfect for Halloween. Length of silver material approximately twice the height of your child. 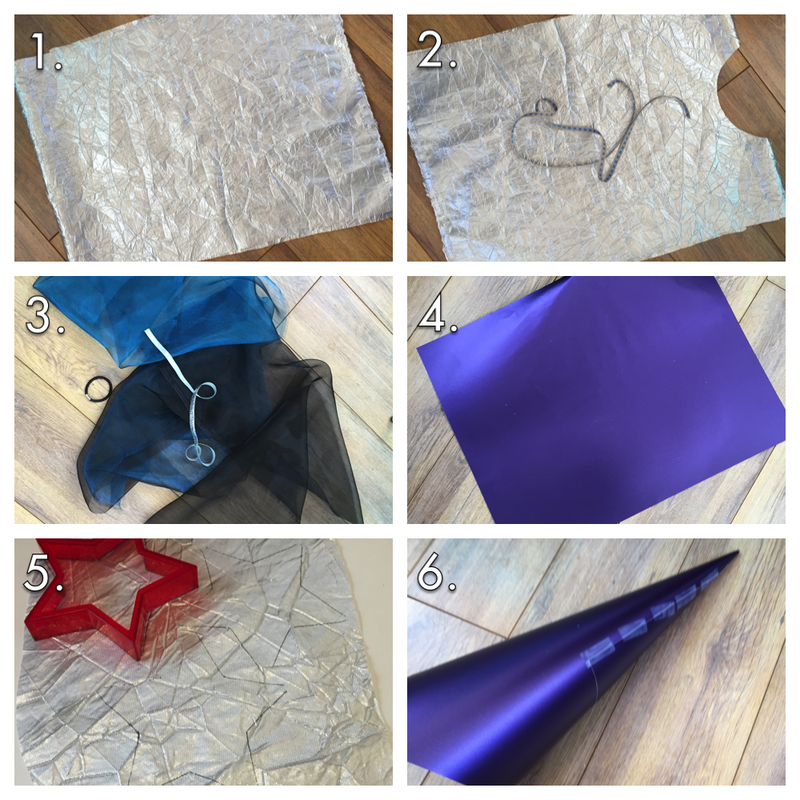 2 lengths of coloured voile 10 inches shorter than the height of your child. 2 lengths of ribbon – one 30cm, one 100cm. Hair bobble or elastic band. A1 piece of coloured card. Star stencil or cookie cutter. Fold the silver material in half length ways and cut a semi-circle along the fold as in photo 2. Place the voile strips on top of each other. Using the circle cut in photo 2 – draw around the star stencil and cut out silver stars – as many as you can from the material. Fold the coloured card into a cone shape to fit your child’s head and secure with sticky tape as in photo 6. 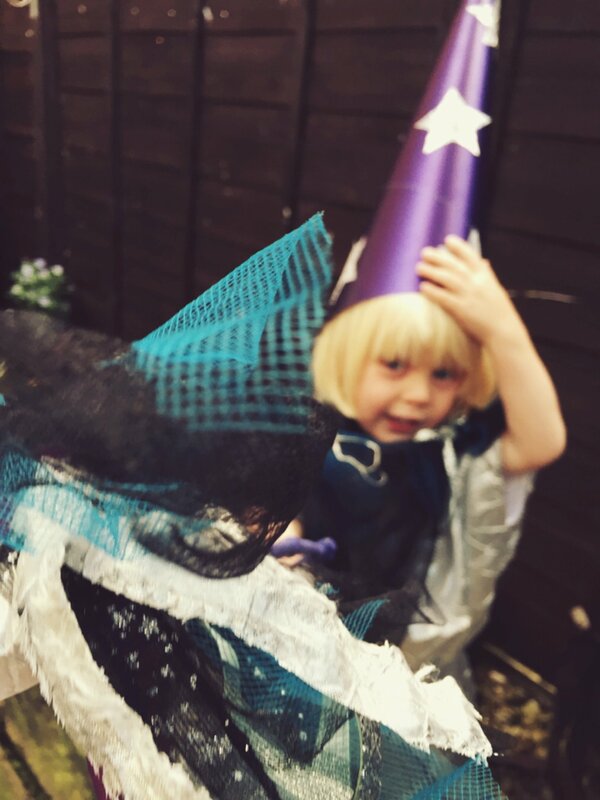 Stick the fabric stars onto the wizard hat. Put on comfortable clothes to wear under the outfit and a pair of boots. 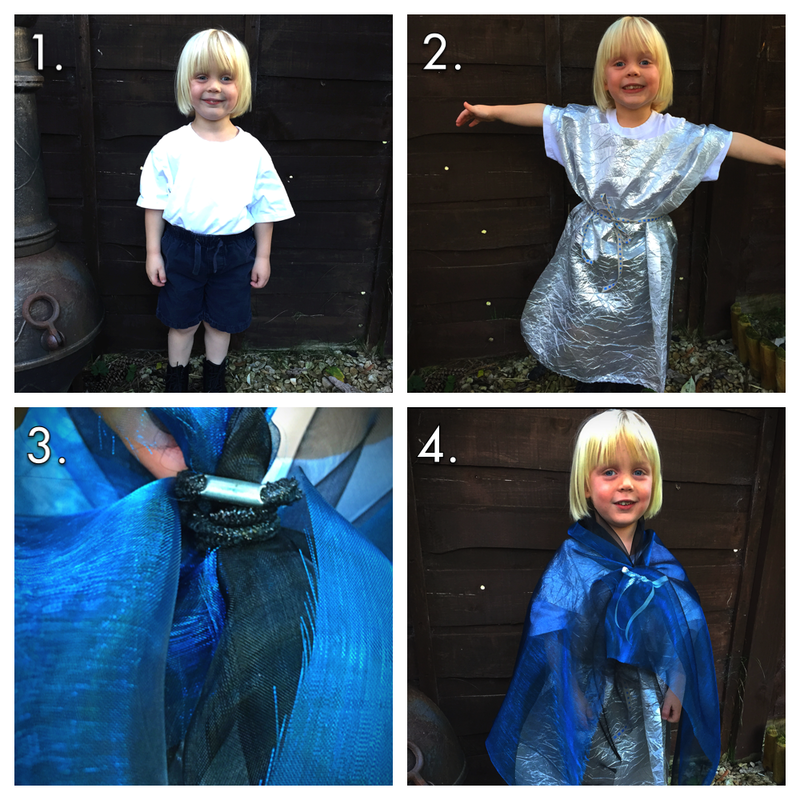 Pop the silver fabric over your child’s head and tie the long ribbon around the child’s waist. Wrap the voile fabric around your child’s shoulders and fasten with a hair bobble as in photo 3 – then tie the short ribbon around the bobble in a bow. Finish off with the wizard hat. And to complete the look our shabby chic magic wand! I love this outfit – it’s cute, individual and you can swap and change the colours to suit yourself and best of all it’s NO SEW! Weirdly… once we’d made the outfit… look who turned up!